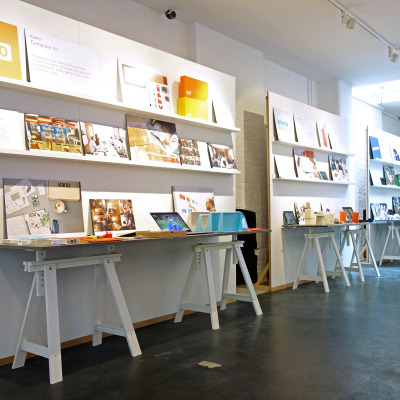 With upwards of hundreds of events and exhibitions during any given design week or festival, companies and organizations often err on the side of spectacle — most recently, in the case of London Design Festival 2016. 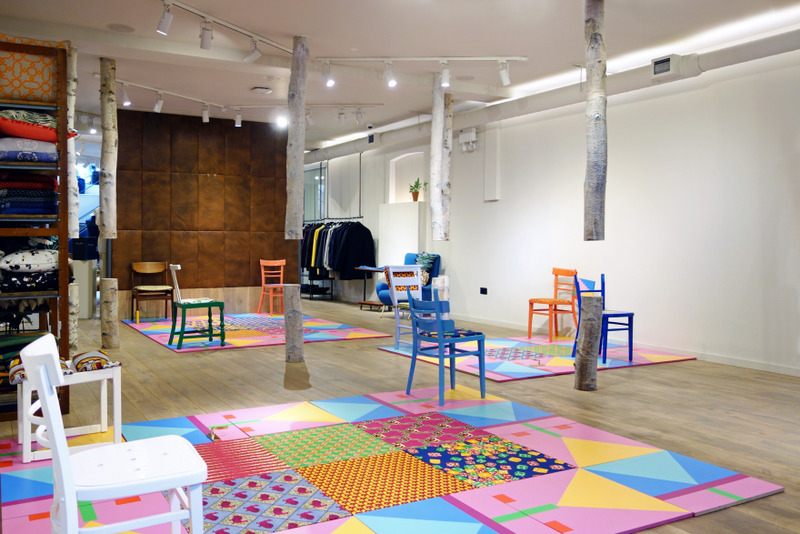 When Instagrammability is the order of the day, “immersive” “dynamic,” or otherwise “experiential” installations compete for footfall and eyeballs. 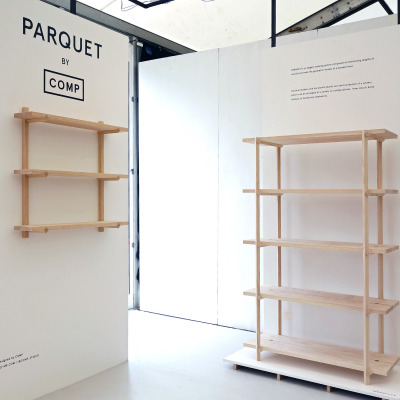 Not that there's anything wrong with that: Well-executed installations often stand out as highlights among the seemingly endless tables and chairs that fill expo centers, showrooms, and other venues. 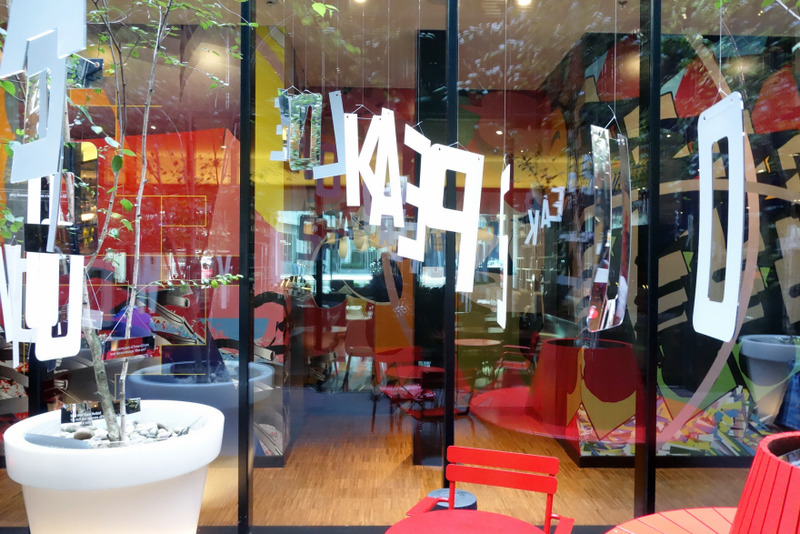 Even if reality doesn't always live up to the shimmering, mirage-like renderings, installations are often worth seeing in the flesh — FOMO and selfies notwithstanding — as site-specific design-week attractions. 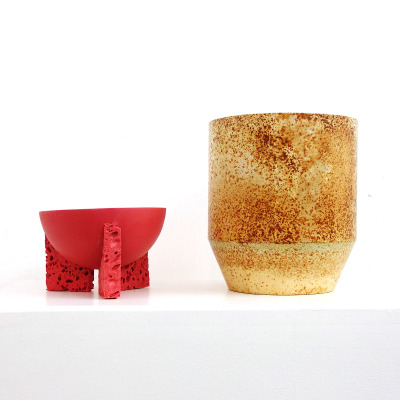 That said, we've got a roundup of roughly half a dozen installations from LDF2016... for those of you who couldn't attend in person, of course. 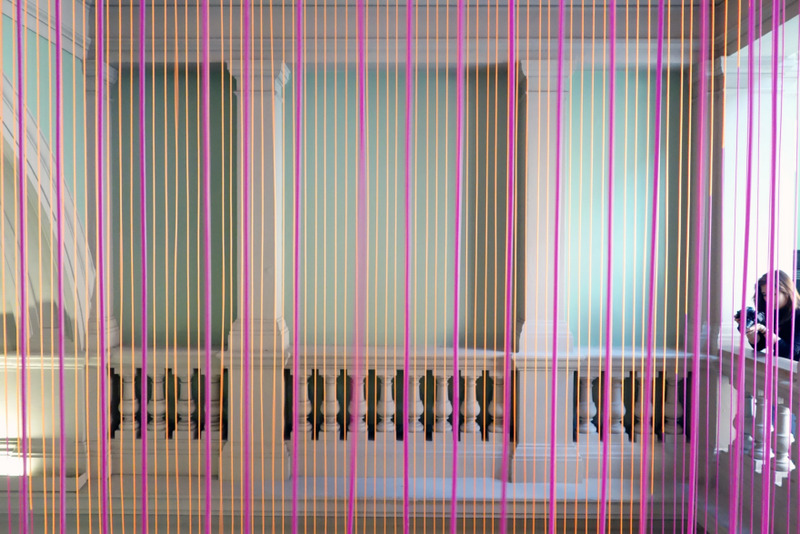 The "Green Room" by Glithero was one of many LDF exhibitions at the V&A. 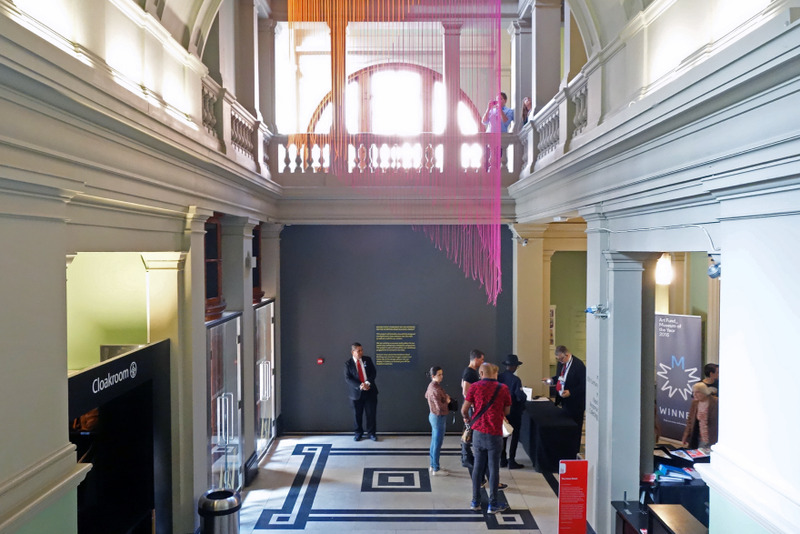 The abstracted clock is suspended from six stories above the museum's Exhibition Road entrance; a cylindrical volume of 160 cords changes colors and height as it rotates to mesmerizing effect. 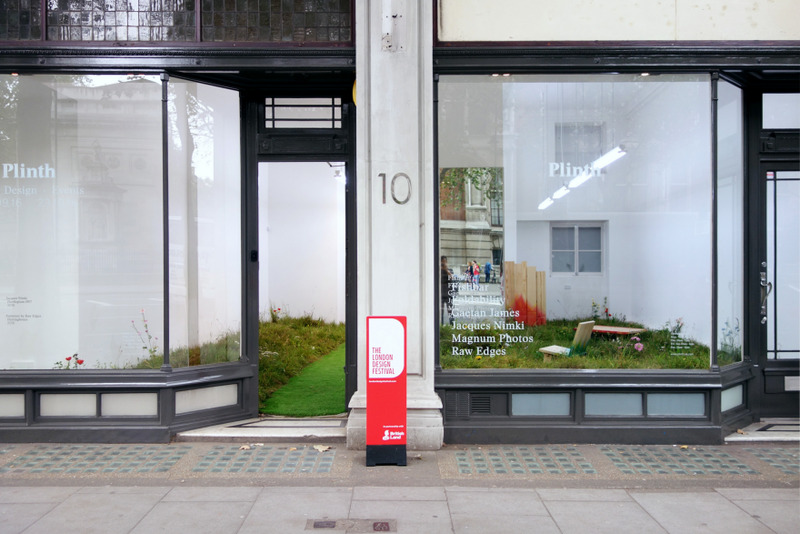 Just down the block from the V&A, Plinth presented two installations, including "Florilegium SW7," the fourth in a series of "interior meadows" by artist Jacques Nimki. 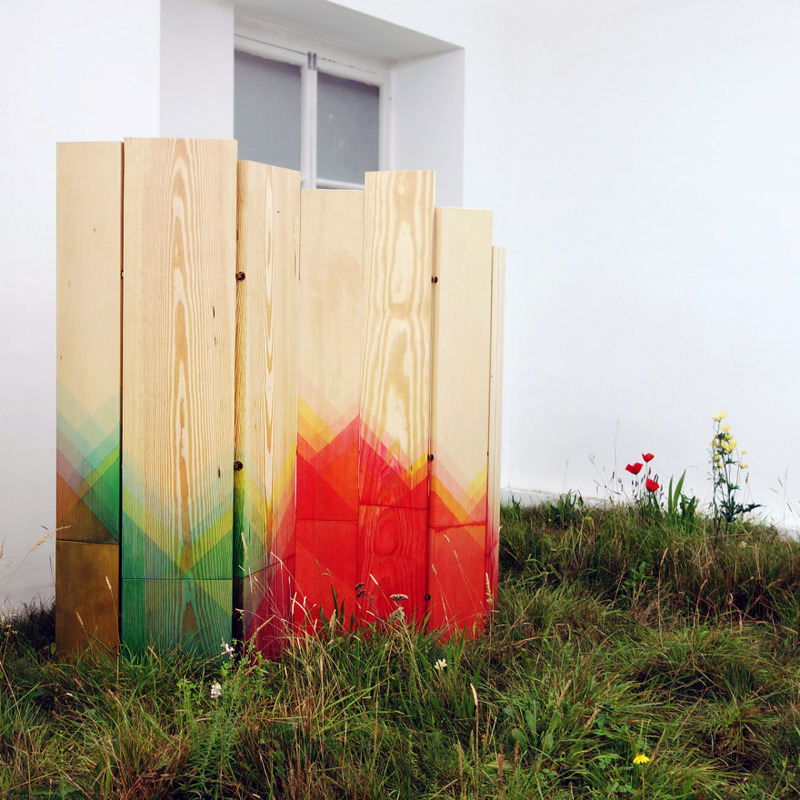 Amidst the grass and flowers, a few pieces from Raw Edges' "Herringbones" collection are on view. 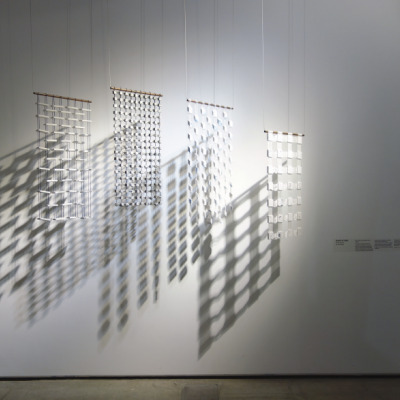 An installation by Foldability, a.k.a. 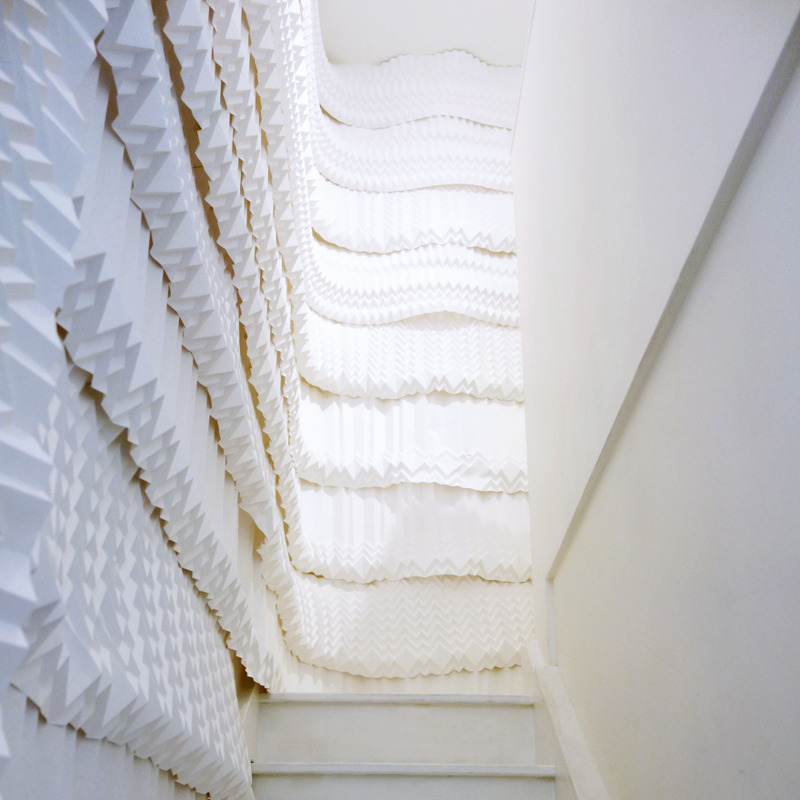 artist Kyla McCallum, lined the stairs and mezzanine. 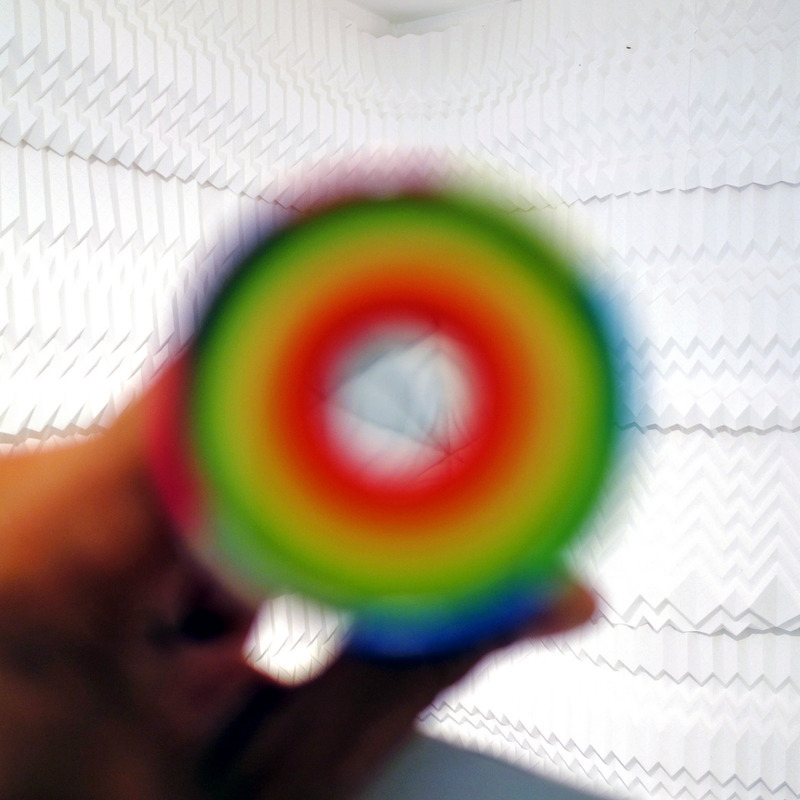 "Refraction" consists of McCallum's signature hand-folded paper works, augmented by kaleidoscopes. 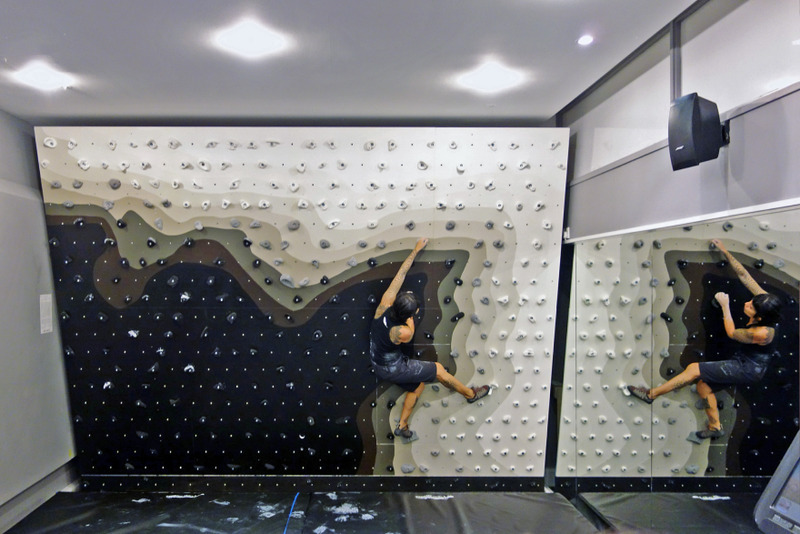 The Ace Hotel unveiled a new climbing wall featuring a design by Patternity, which debuted alongside the "Ready Made Go 2" collection during LDF. The permanent installation in the basement gym of the hotel can be adjusted from 11 to 50 degrees with a simple hand crank. 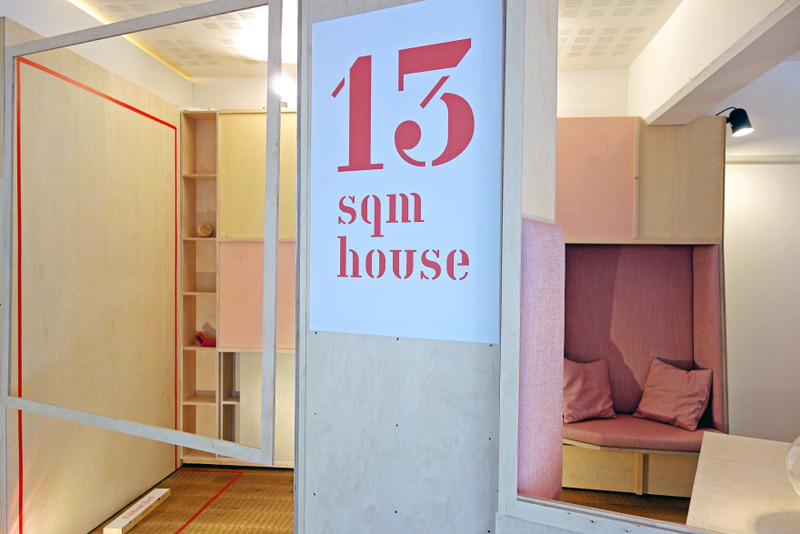 Viaduct Gallery presented a 1:1 mockup of Studiomama's "13sqm House," a diminutive dwelling that will be realized in North London. 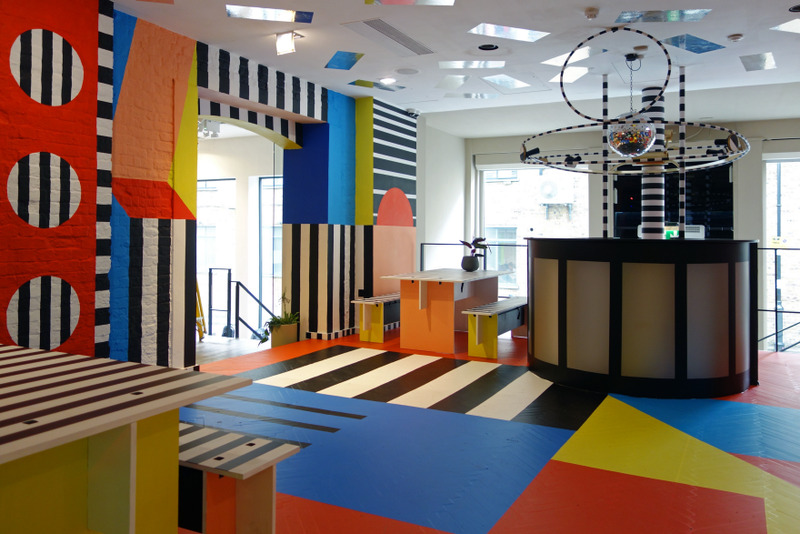 Camille Walala created an eye-popping installation for the Vinyl Lounge at Clerkenwell London. 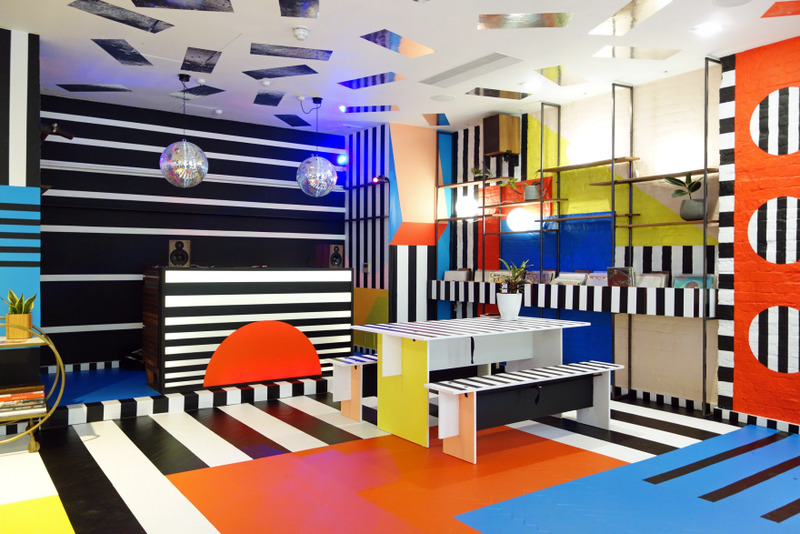 A textile designer by training, Walala has recently started applying her bold aesthetic to installations and interiors. 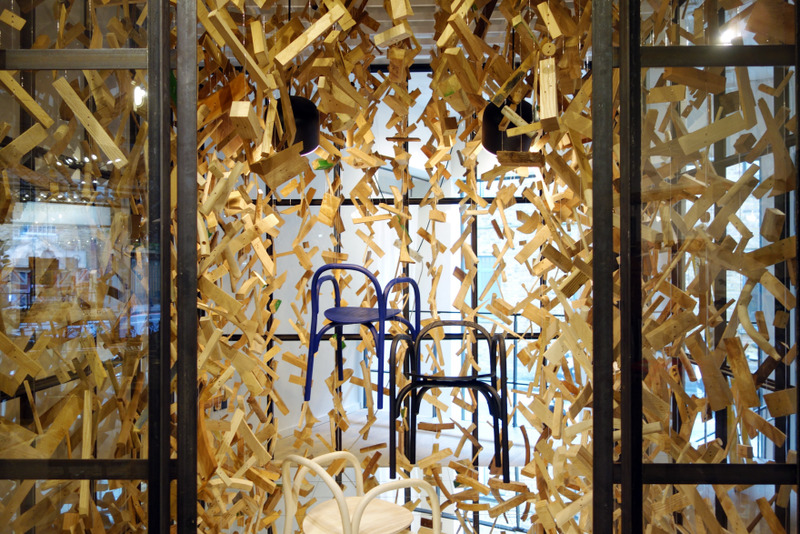 Her project was one of several installations for the Design Undefined exhibition at the concept store/venue. 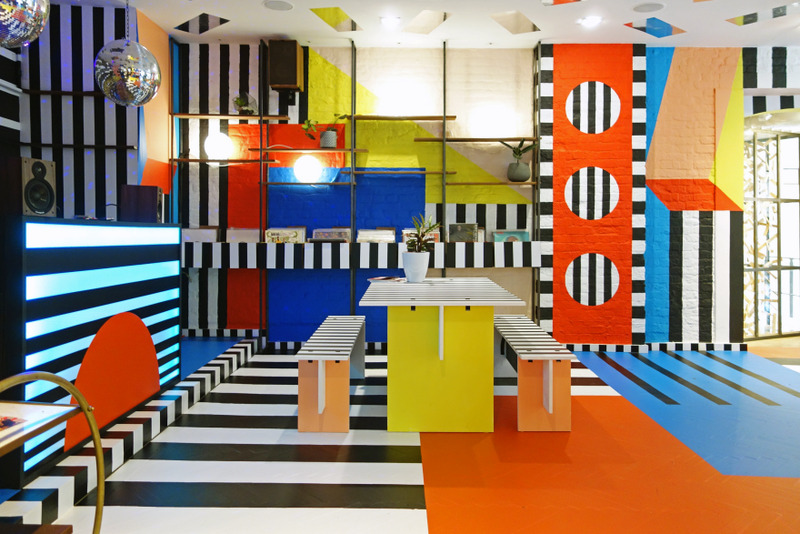 Downstairs at Clerkenwell London, Yinka Ilori's colorful installation was inspired by African textiles and traditional Nigerian folk tales. 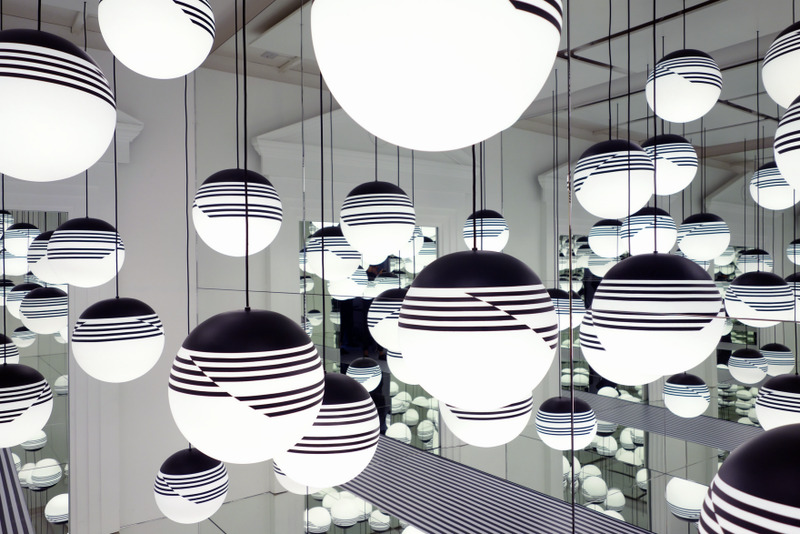 Lee Broom transformed his Shoreditch showroom into an homage to Op Art with dozens of his new "Optical" pendant lamps, suspended at varying heights and infinitely multiplied in the mirrored walls. On the occasion of the 400th anniversary of Shakespeare's death, the CitizenM Bankside Hotel invited artist Hannah Yates to create an installation in its public garden. "Speak Low If You Speak Love" literally transcribes the quote from Much Ado About Nothing into the air.